Small in size, but like the Tardis, it’s big on the inside. This drive is literally slightly longer than my thumb. Small enough to lose except it has a wonderfully large hole which can be attached to one’s keys, a Lanyard or necklace. 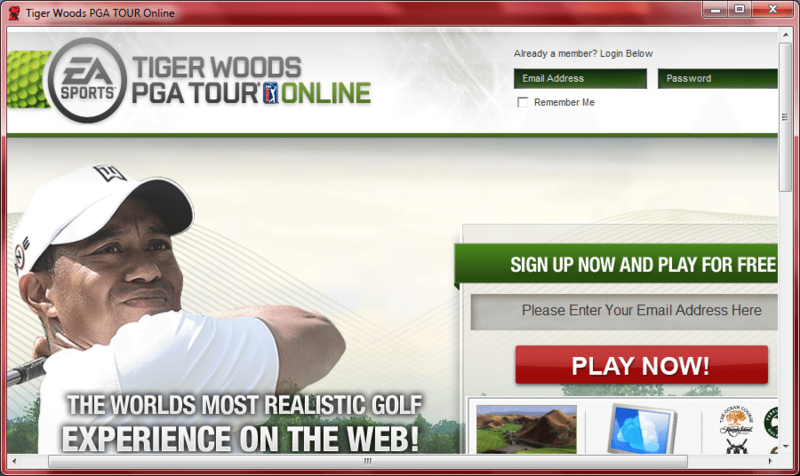 The main program being a browser. 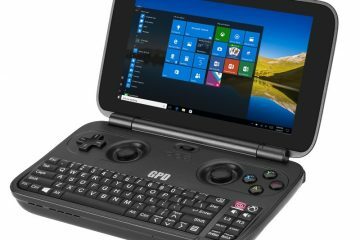 Now, regular readers will be familiar with the idea of Portable browsers and other portable programs….the urDrive is another alternative which actually integrates its collection of programs and features. 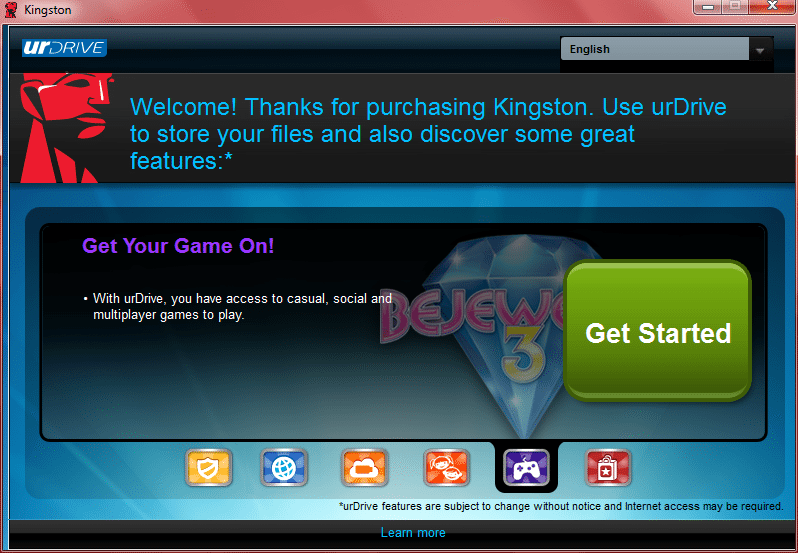 The browser on the urDrive is Maxthon and, as you will discover is really the Spine of the urDrive. Almost everything you will do goes through Maxthon. 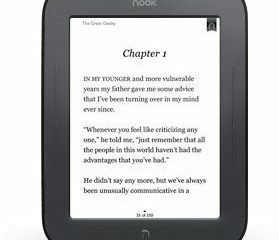 The purpose of a portable browser is to be able to carry your bookmarks and custom settings to any available computer. 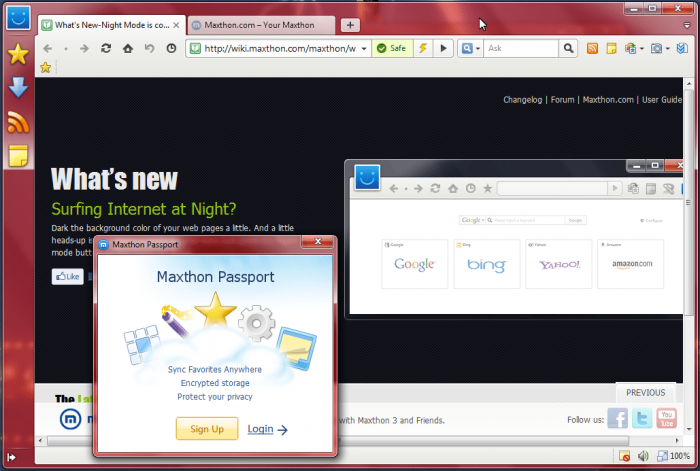 Signing into a Maxthon (Passport) account lets you save your Favorites. You don’t Have to sign up to browse, however, it doesn’t appear that ones favorites are saved on the drive. This isn’t what I’m used to in a portable browser. I tend to like total portability. 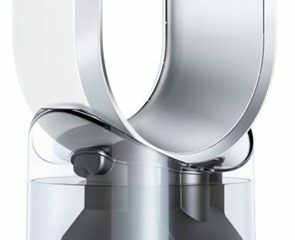 It seems that the urDrive is more about a collaboration between portable drive a and cloud features. Which Operating Systems support the urDrive program? Right now only Windows. 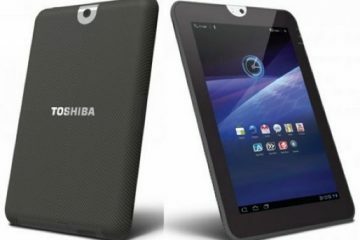 However, the other OS’s can read the files – images, sound and video files – on the drive. In other words you must have a Windows system to first use the urDrive software, create a urDrive Account (if you wish), copy any personal files from your computer to the drive. Once that has been accomplished you can use your urDrive on other systems to examine your files, transfer files, browse, etc. Separate from the Maxthon browser the urDrive lets you conveniently save images, music videos and files directly to the flash drive. This can be a simple backup or files that you need to transport regularly between – say – home and work. Now, a time long ago when one inserted a flash drive with the proper files it would automatically start up the program found in the root of that drive. Those files are there on this Kingston drive and if you happen to have an older Windows system this may work. However Microsoft turned off the AutoRun feature in Windows in Windows7 and later in XP to discourage the spreading of malware. If you are like me and only have Windows7, plug the flash drive in one of your USB slots and either wait for the ‘Hey, what do I do with This?” AutoPlay window to pop up, select Run, if it’s there or simply Browse. Click on the urDrive.exe file to start the program. You will be greeted with this page. The Get Started button leads you to the End-User License Agreement and from there it’s on to the Main Screen. You don’t need to log in yet, especially if you only wish to add some important files to the drive. That can be accomplished by browsing or drag and drop. The icons on the bottom of the window are the Navigation Bar. And after I added some images..you can see I can view a slideshow of them all, rotate, delete files. I can add Albums of pictures and organize them in any way I wish. It’s very flexible. Continuing on the Navigation Bar is News, Settings and Help. 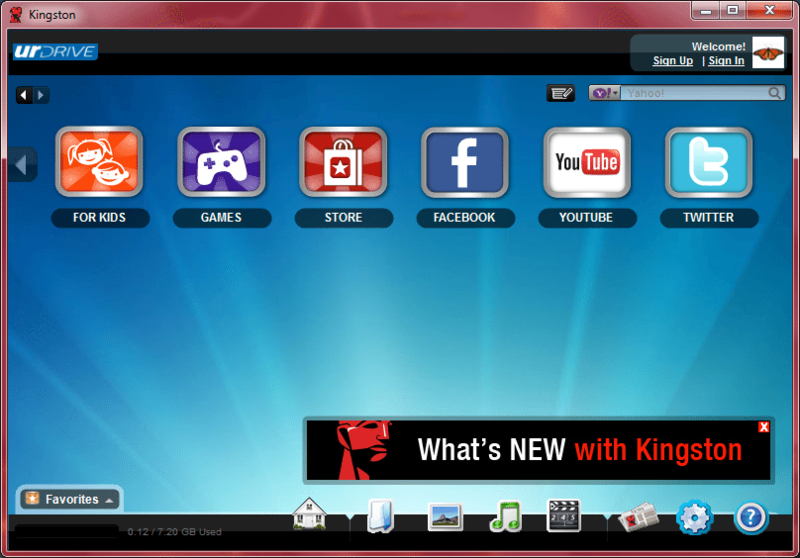 News has the latest information on Kingston’s products. Settings lets you change the background and profile images as well as the language used. 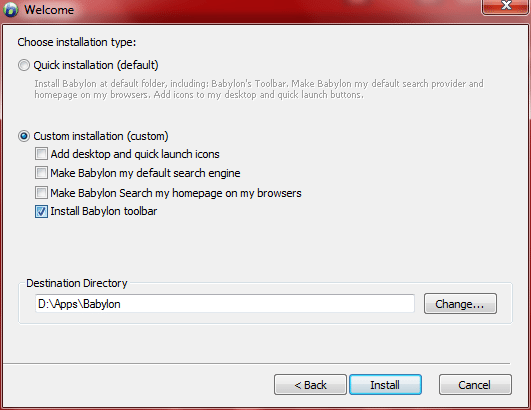 Help icon brings up the User Guide in the browser which has very detailed info about how to use the urDrive software. 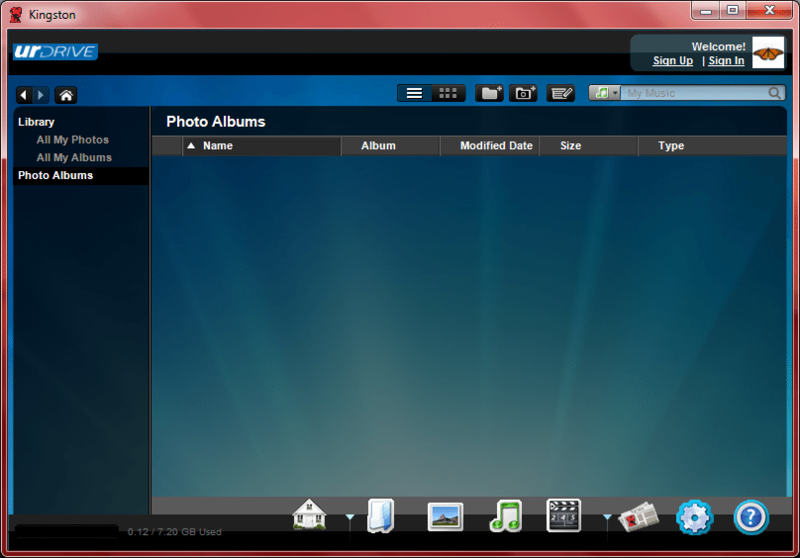 If you create a urDrive Account from the top right of the Main Screen this increases the capabilities of the drive. 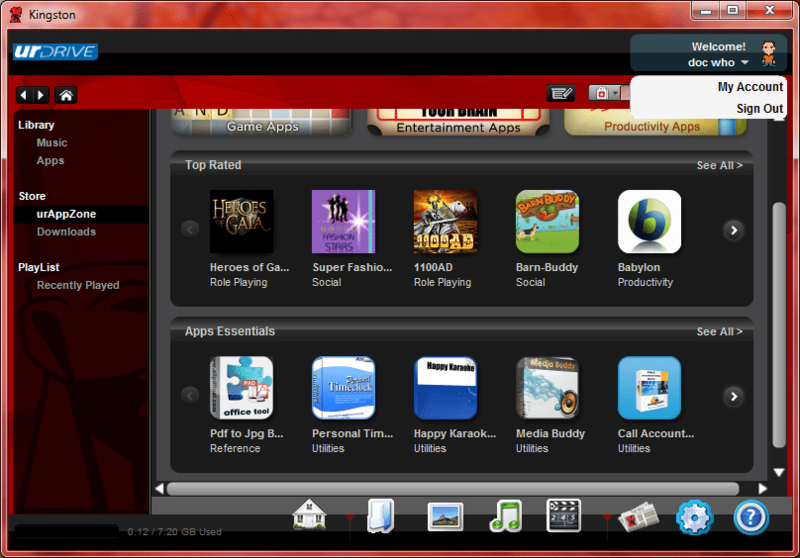 That includes accessing urAppZone is where you can get apps from the online store. 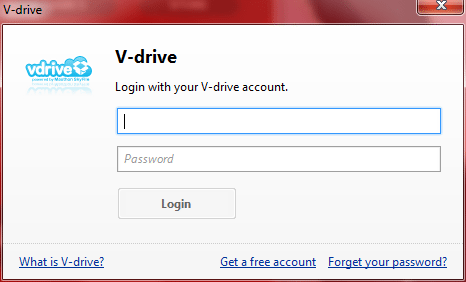 This will bring up the login for a V-Drive account. 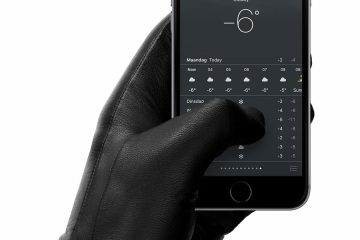 So, wherever you are you can access 6GB of storage. That amount is free…more storage will incur a per month expense. You can sync files on various device and Vdrive works on Android 2.2 and above. Check here for details. If you find an app you wish to check out, click on the name and then if you want it, click on the “Free” button (in this case it’s free) and that will download the install exe file to the flash drive. once that’s done just click on the name and this installs on the host computer. Obviously, this won’t work when using the drive on a foreign computer, but you do control which programs you may download. It’s up to you. 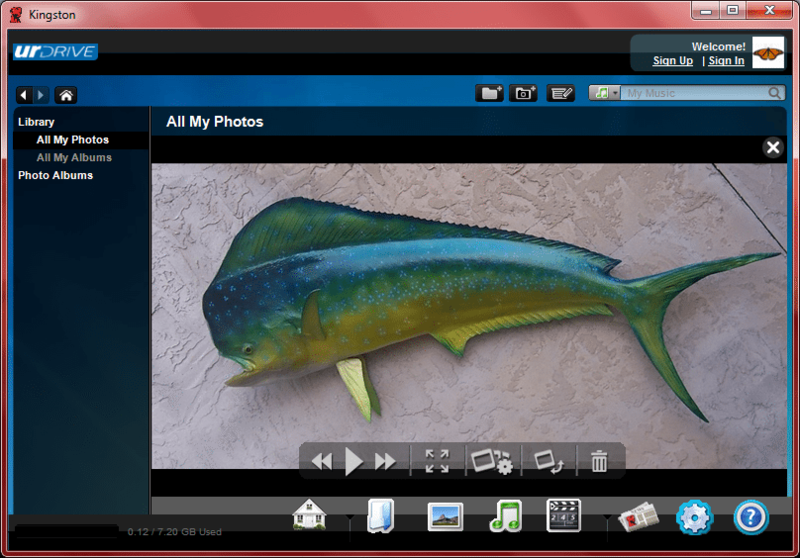 From the Main Screen – Home – you have icons for a number of online activities. 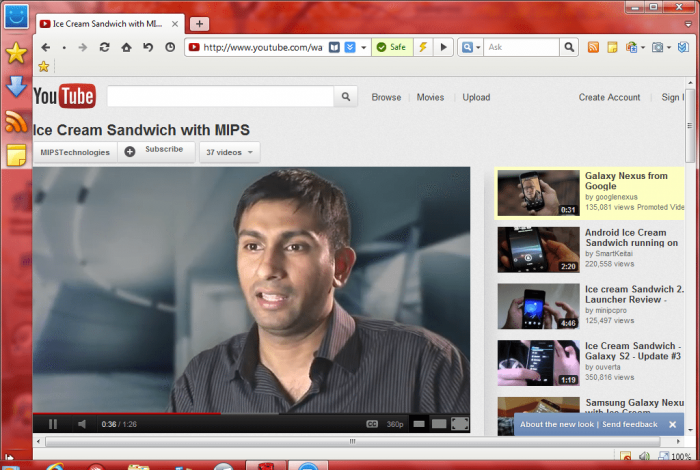 If you click the YouTube button you go directly to the web page – same with Facebook. 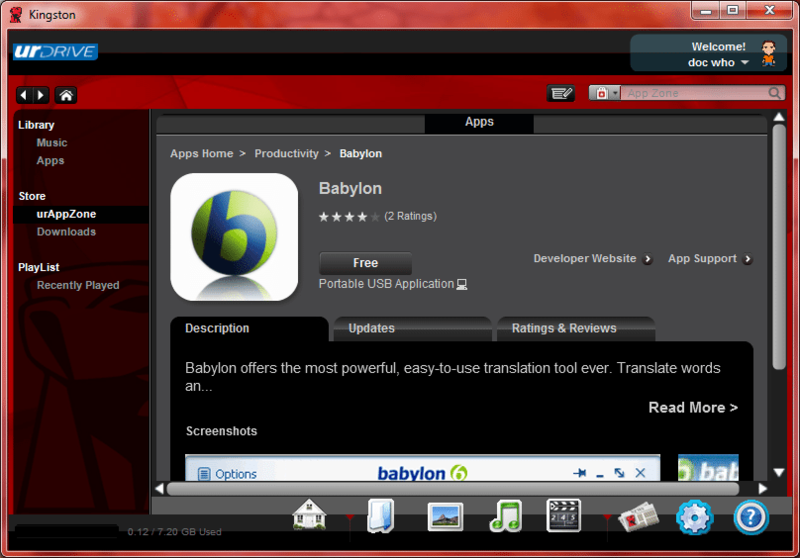 It’s all very integrated using the Maxthon browser. And the option of using Norton to check for nasty bugs. 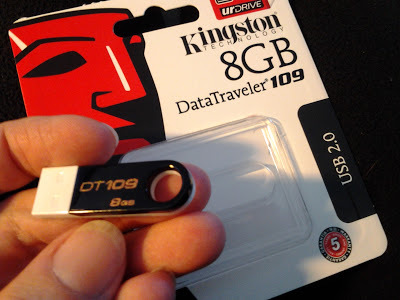 Having used Portable programs on USB drives I have to admit that the urDrive is fairly comprehensive and useful. And while I am not really used to this Cloud thing I know from experience with Dropbox that’s it’s quite convenient. It may seem like you are logging IN Very often when you first get this drive, but once that “ordeal” is over with it’s smooth sailing.